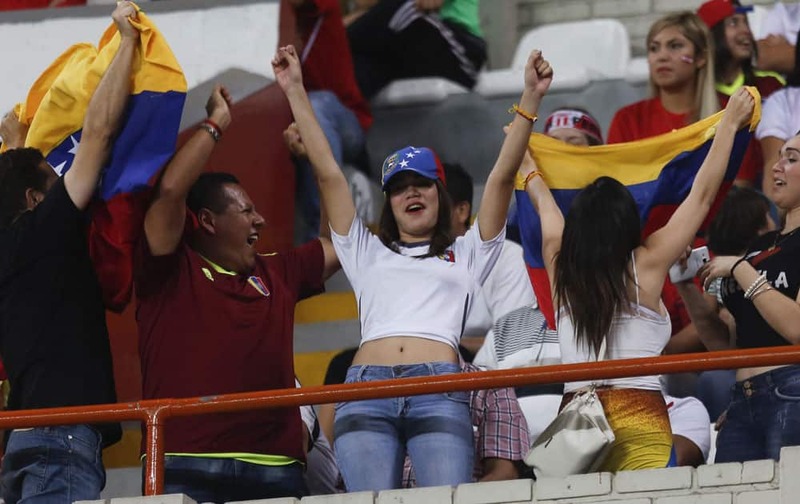 Venezuela soccer fans celebrate a goal against Peru at a 2018 World Cup qualifying match in Lima, Peru. Argentina's Lionel Messi leaves the field carrying the shirt of Chile's Gonzalo Jara after a 2018 Russia World Cup qualifying soccer match at the National Stadium in Santiago, Chile. 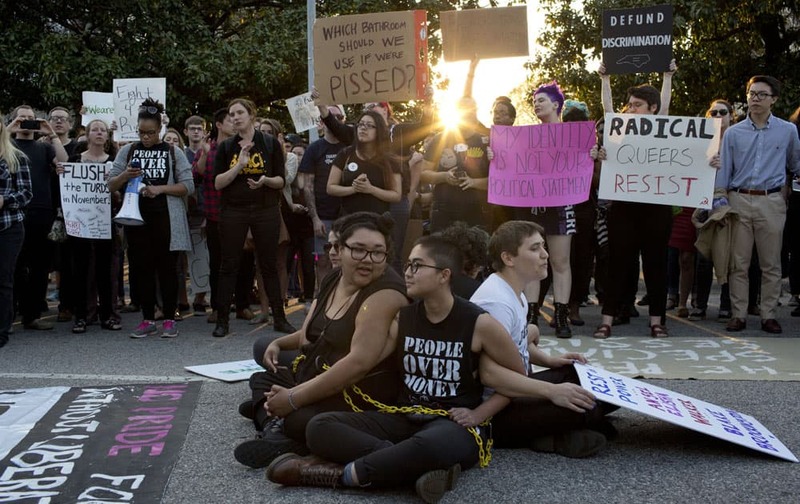 Argentina won 2-1.
demonstrators Jess Jude, Loan Tran and Noah Rubin-Blose sit chained together in the middle of the street during a protest against House Bill 2, outside of the Governor's Mansion on North Blount Street in downtown Raleigh, N.C.
A demonstrator wears a mask that reads in Spanish: "At 40 years! 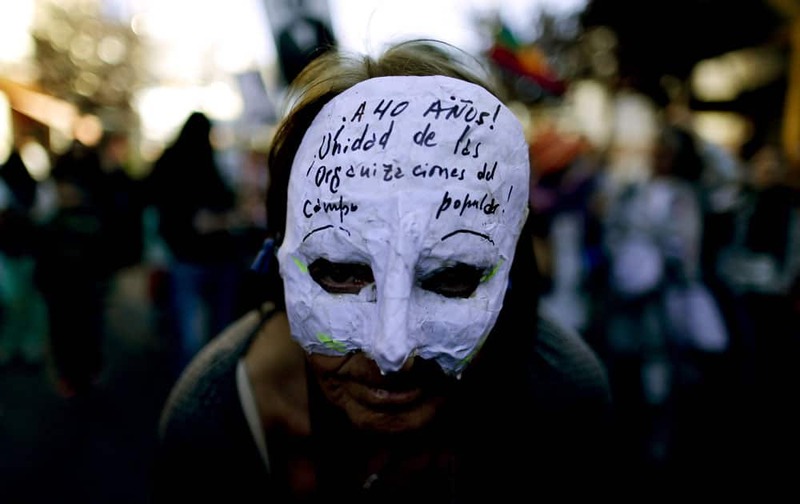 Unity of people's organizations" on the 40th anniversary of the 1976 military coup that started Argentina's dictatorship, in Bariloche, Argentina. 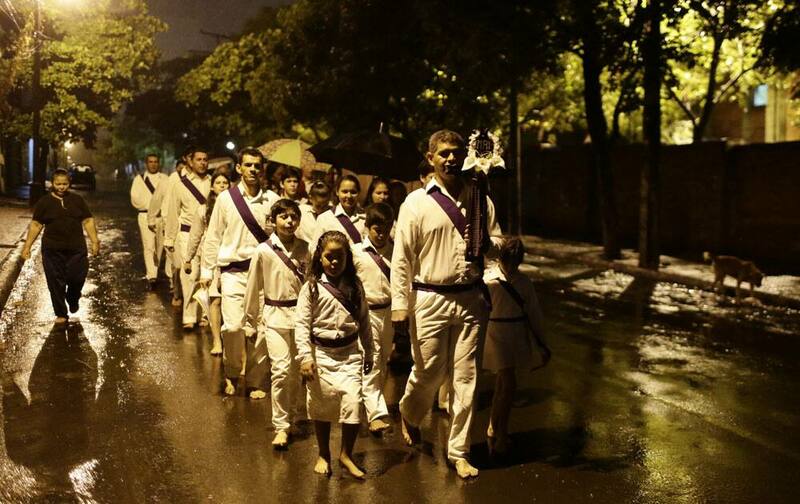 A group of "estacioneros" walk barefoot in the rain during their procession celebrating Catholic Holy Week in Asuncion, Paraguay. 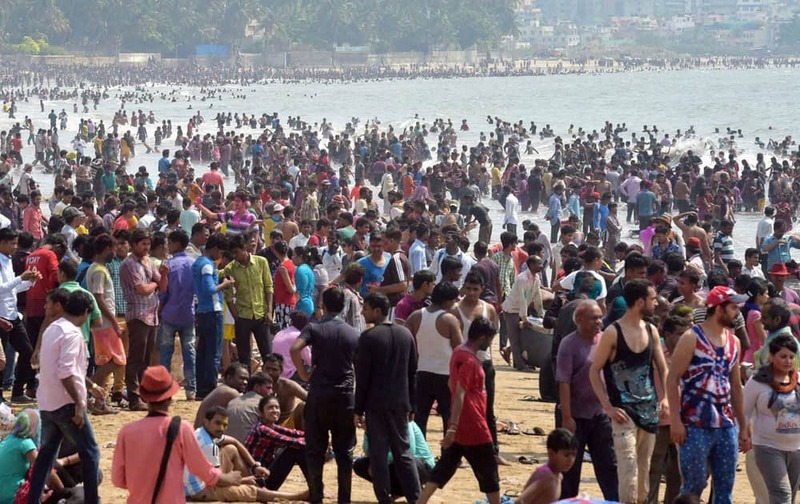 Serena Williams, of the United States, celebrates after winning a game against Christina McHale, also of the United States, at the Miami Open tennis tournament in Key Biscayne, Fla.
People celebrate Holi on a Juhu beach in Mumbai. 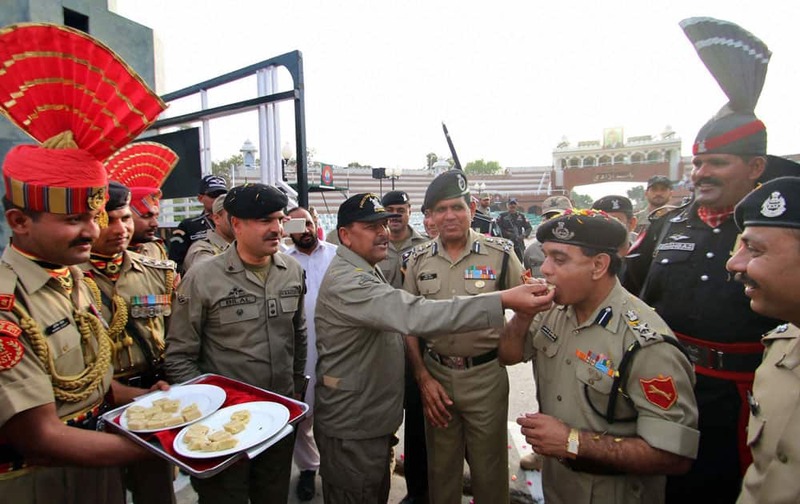 Pak Rangers offer sweets to BSF officials at Zero line during celebration of Holi with flowers petals with their counterparts of Pak Rangers at Attari international border. 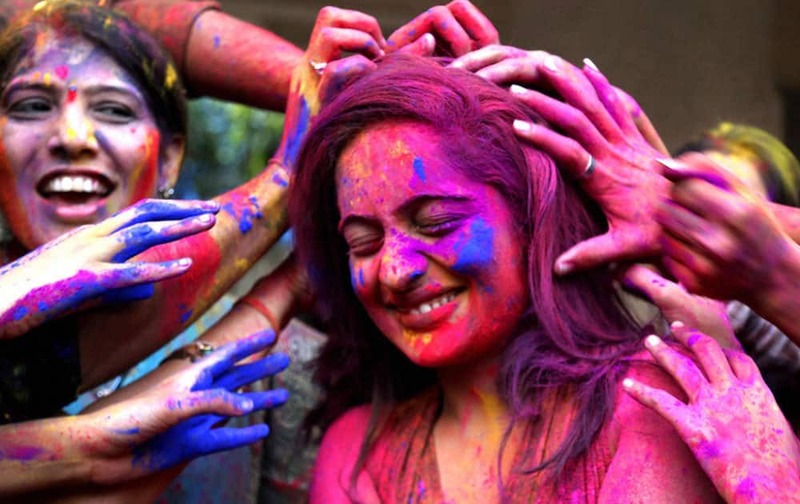 People play Holi in Thane. 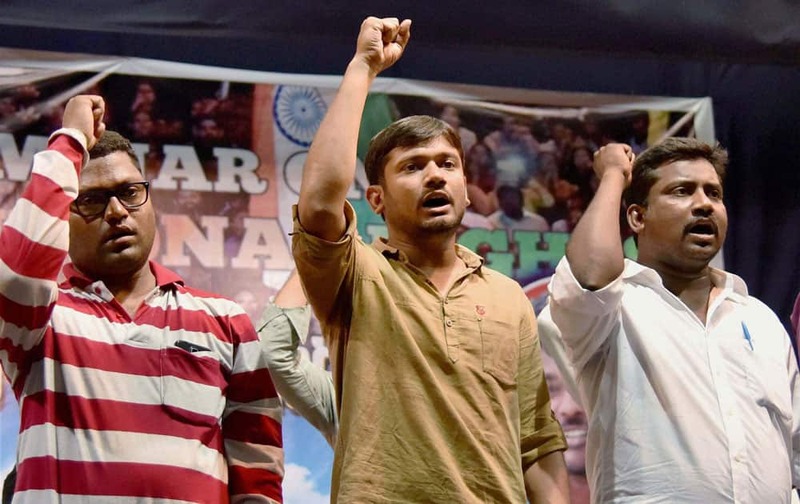 JNU student’s union President Kanhaiya Kumar along with other student representative’s shout slogans at a seminar on Constitution rights in Hyderabad.